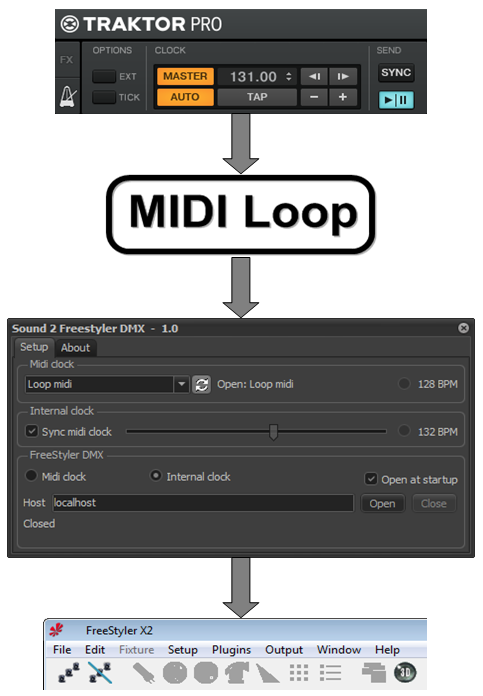 Sound 2 Freestyler DMX is a free Windows tool to synchronize DMX lights to FreeStyler by the use of a midi sync clock. A midi clock from e.g. Traktor, Ableton or a midi sync clock supported DJ mixer. A video shows more than words. 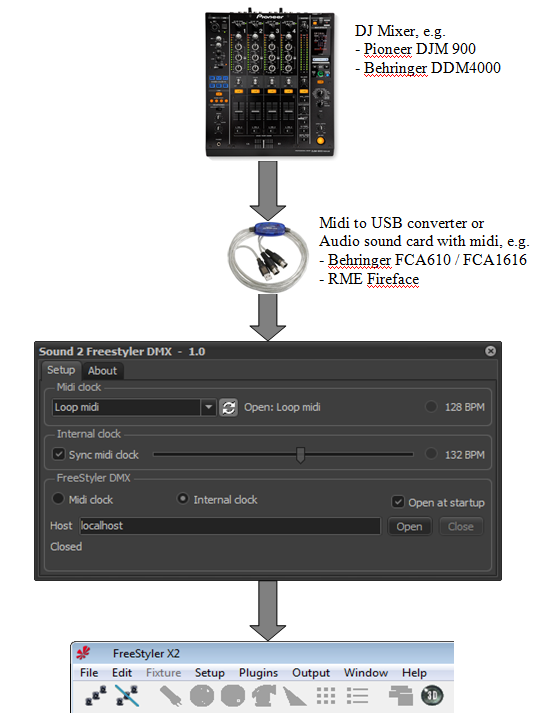 Sound 2 Freestyler DMX can be used in a network. 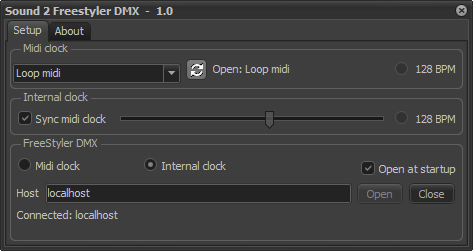 Freestyler DMX runs on a different computer than e.g. Traktor. This is useful where a light jock controls the light besides a DJ using Traktor. Enter as host in Sound 2 FreestylerDMX the name or the IP address of the computer where FreeStyler runs. In this example the computer is named LightComputer. Press the button “Open” to make a connection to FreeStyler. As soon as the connection is made an icon appears in Freestyler. Maybe it is required to turn off temporarily the Firewall and add an exception in the Firewall. If you don’t understand this very well or you are not familiar with network configuration show this text to someone with network knowledge and he will understand. This network knowledge has nothing to do with specific FreeStyler or Sound2FreestylerDMX configuration. © 2016 Yves Vermeersch. All rights reserved.